No Contracts. Confidential Private Coaching. Proven Systems & Experience. 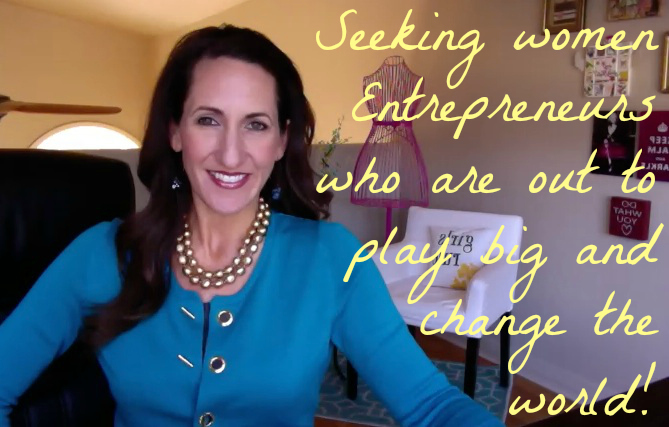 Having Dena as your coach is the most powerful way to focus on the goals, behaviors and strategies that will dramatically improve all 8 areas of your business. One-on-one coaching is a powerful partnership that will move you towards your goals with velocity. If you are serious about taking your business and your leadership to the next level, working with Dena will get results beyond what you can do by yourself. Dena can help you build; the systems to be a well-oiled company, the strategy to be a well-marketed company, and the greatness mindset to be a well-led company that makes the revenue and the difference you want. 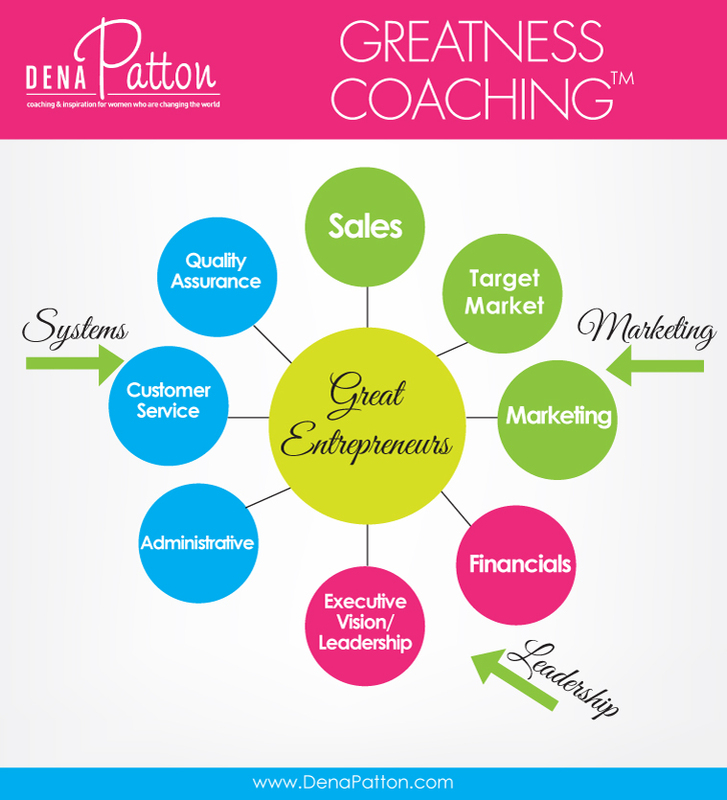 Dena can help you with 1, or all 8 areas of your business depending on your need: Administrative, Executive vision/leadership, Target Markets, Customer service, Quality assurance, Sales, Marketing and Financial. Do you have just one or two areas that need work? (Take Dena’s Quick Quiz Here to find out which of the 8 areas you are struggling in). Dena’s “no-fluff” approach is what hundreds of leaders over the past 14 years have used to move through barriers and into their dream business. Read what past clients have said about how helpful Dena’s coaching has been for them, read testimonials here. Ready for results? Schedule a FREE 30 minute discovery session with Dena below. Interested in Dena’s services? Next step is to click below to set up a free discovery session. Click here to BOOK your 30 min. complimentary discovery consultation to see if we are a fit together. 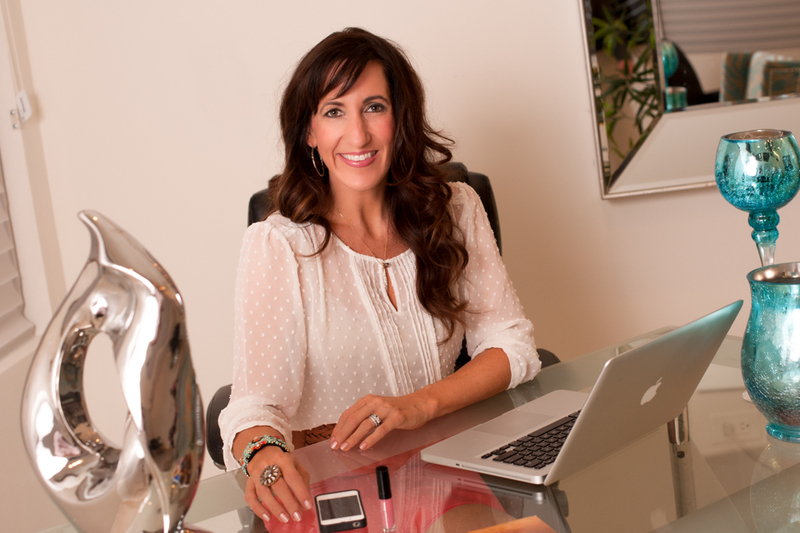 Dena spends a full or half day with you tackling your issues, challenges and strategies head-on. A VIP session can be used to work on the ideas or challenges you want. Dena can help you build; the systems to be a well-oiled company, the strategy to be a well-marketed company, and the greatness mindset to be a well-led company that makes the revenue and the difference you want. Other issues, barriers or strategies you specifically need to build your business. Dena works with you directly (and your partner if applicable) and there’s no fluff, just clear, powerful results. Sessions are done via Skype unless you are in the Phoenix Arizona, outside of that area/state travel expenses apply. Ready to go? Pay below and we will contact you to book a time for your session. Need to chat? Book a complimentary 30 minute discovery session book here. A 1 hour follow up coaching call. #3) 2 Systems Session – pick 2 systems and Dena will help you build them! Let’s handle the 2 Systems that you need to grow your business. This session will blow you away! Pick the 2 systems you need to help your business grow! Stop working harder and start working smarter! Onboarding System – if you are a service business you have to know the touch point system to bring on new clients so that have a great experience. Billing System – Don’t chase money. Period. This system is a clear way you get paid. Receipt/budget/accounting System – This is how you manage your money on the inside. Is there a clear way you manage it all so you always know your numbers. Ready to go? Pay $597 HERE and we will contact you to book a time for your session. #4) Luxury VIP Retreat For Teams & Individuals = 2 Day Amazing Experience. Imagine a luxury one-on-one retreat that will inspire your soul, expand your mind, empower your spirit, pamper your body and build your business. I offer a 2 day private retreat that is customized for you at The Sanctuary Resort and Spa. We will book your room at the hotel, along with one spa treatment and two days (5-6 hour sessions each day) of working personally with me. You simply fill out a survey prior to the retreat sharing about the areas of life, business, strategy, leadership or greatness that you want to work on. We take care of the rest. Call today 480-282-4242. Dena’s Brand Promise: To help you build; the systems to be a well-oiled company, the strategy to be a well-marketed company, and the greatness mindset to be a well-led company that makes the revenue and the difference you want. $4799 includes luxury hotel room at The Sanctuary Resort, a VIP spa treatment, 2 lunches & 1 dinner, 2 days of personal facilitation. Imagine a team building option that isn’t the same ol’ thing! Click here to read more about the options. Not all coaches are created equal. Choose wisely. What is most important to you when choosing a business coach? Dena offers all of it. Schedule a Free Discovery Session on Dena’s calendar here.